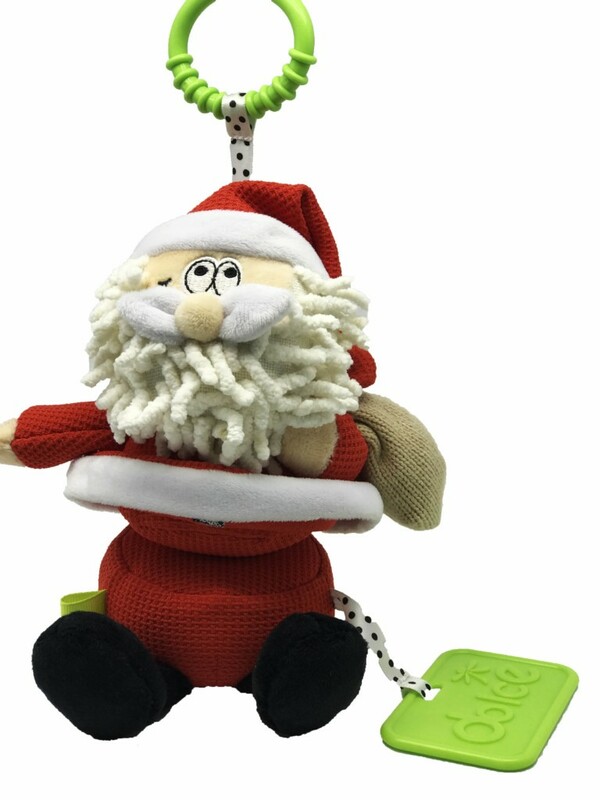 This adorable, festive toy is fun all year round. His middle rotates with a hilarious click clack sound. There is a bell in his sack which will ring when shook. The soft textures and bean bag interior also make Santa perfect for cuddles. The teether connector ring means that it can be played with by hand or hung from a stroller or cot. 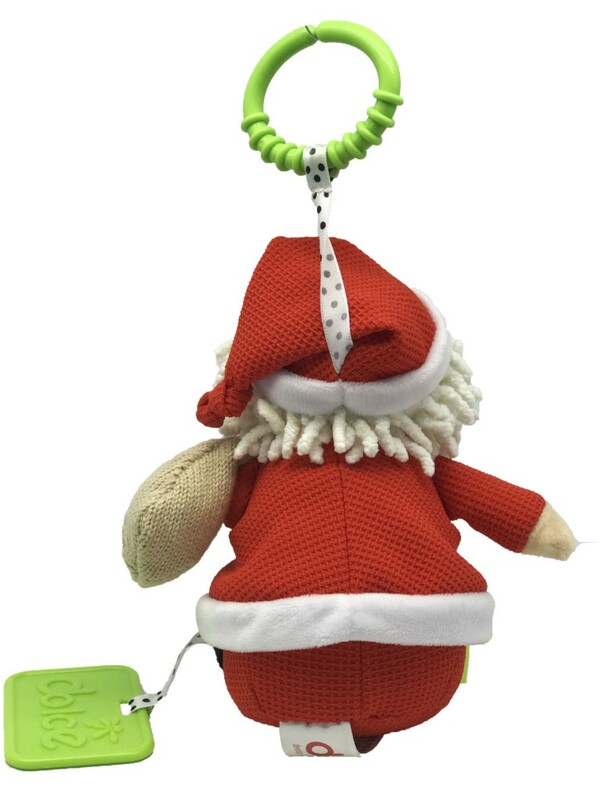 • Sounds: Children will delight in ringing the bell by shaking Santa’s sack. • Color: The variation of color makes them highly engaging for inquisitive children. 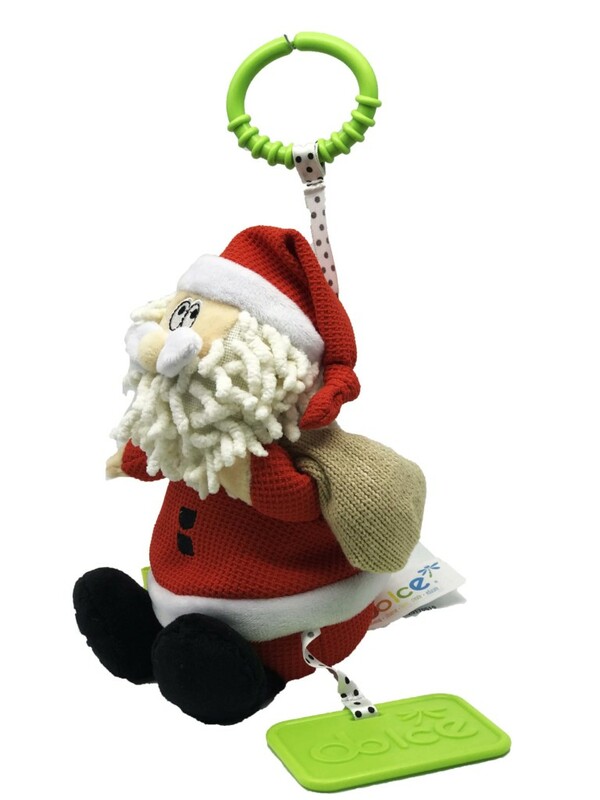 • Helps to connect motor skills with auditory learning by ringing the bell. 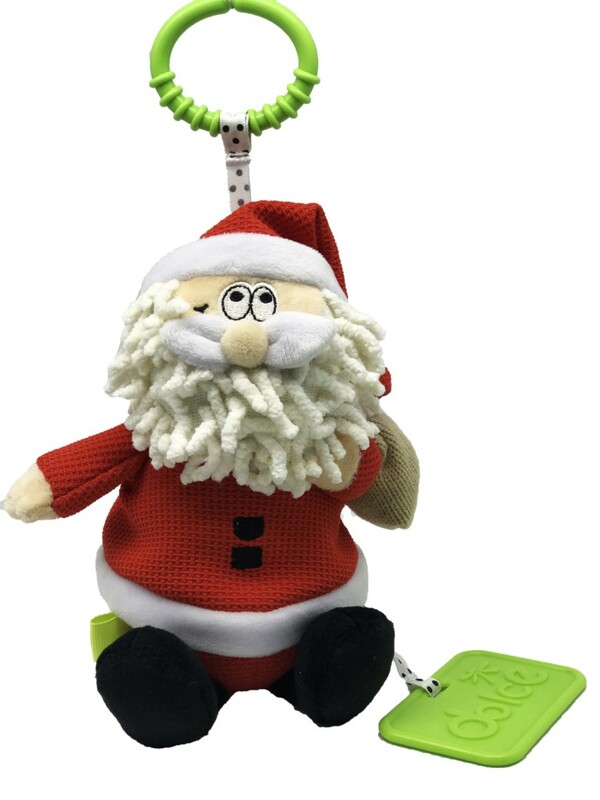 • Turning santa at the middle will develop hand eye coordination by creating a click clack.